Posted on March 14, 2017 at 6:01 am. Senator Gordon proposed a new regulatory body for online gambling. The Philippines is considering forming a new regulatory body dedicated to online gambling. While the Philippine Amusement and Gaming Corporation (PAGCOR) oversees the iGaming industry, the ever changing nature of online gambling has caused some issues for the Filipino government. Namely, the PHP50 million bribery scandal with notorious gambling operator Jack Lam which was discussed during a Senate hearing this week. The Chinese casino mogul has been accused of bribing former Immigration Deputy Commissioners, Al Argosino and Michael Robles, who were caught up in running an unauthorised online gambling operation at Lam’s Fontana Casino in the Clark Freeport. 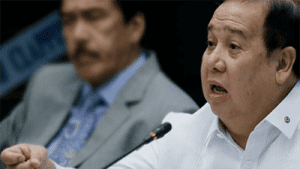 During the hearing, Senator Richard Gordon proposed a brand new regulatory body known as the Philippine Online Gaming and Regulatory Authority (POGRA). Gordon has indicated POGRA will oversee all online gambling activities, since it would be “better equipped” for the online gambling industry, using new technology. PAGCOR would still regulate the land-based industry. PAGCOR has been challenged several times when it comes to issuing licenses and regulating the online gambling industry. The most recent issue has involved Senator Francis Escudero who questioned PAGCOR’S authority since it was enacted before the iGaming industry developed. Escudero argued licensing for online gambling operators should still be performed by the Clark Economic Zone Authority (CEZA) and the Aurora Pacific Economic Zone and Freeport (APECO). This follows on from the argument by anti-corruption advocates, at the Union for National Development and Good Governance-Philippines (UNLAD), who said PAGCOR didn’t have the ability to issue Philippine Offshore Gambling Operator (POGO) licenses. PAGCOR maintains its right to authority, arguing it follows its mandate to “operate, authorise and license games of chance, games of cards and games of numbers” in the country. It has also been caught up with the recent crackdown on online gambling as ordered by President Rodrigo Duterte’s, with all unlicensed gambling sites deemed illegal.